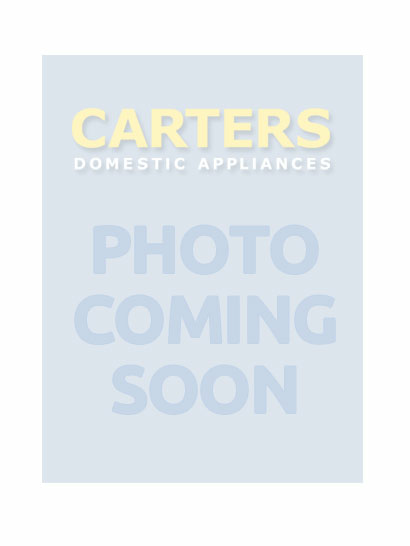 Carters Domestic Appliances have six Euronics stores in Sussex including one in Southwick, and the warehouse outlet in Storrington. Both these stores are very near to Steyning which means that customers from this area can benefit from the very best deals on offer from Euronics, and shop from the wide range of products at prices that cannot be beaten anywhere on the high street, or online. 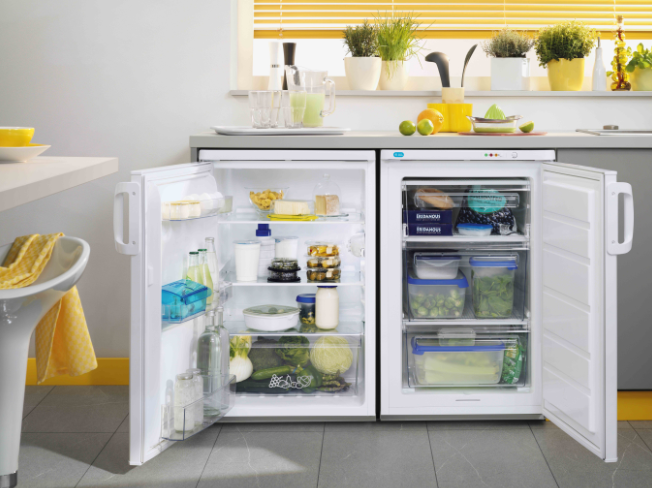 Whether you’re looking to buy a washing machine, dishwasher, fridge, cooker, gas ovens or microwaves for the kitchen or utility room or maybe a chest freezer for storing produce in the garage, our doors are open to help you find the appliance you need. You'll be met by a great team of staff at our Southwick store and our warehouse outlet in Storrington; they are passionate about what is on sale and will be keen to discuss the features and benefits of freestanding and built in models, microwaves, washer dryers and more. How can we offer such great prices on Euronics white goods? Carters are members of Euronics, a buying group of independent retailers with more than 10,000 stores collectively across Europe and the UK. This huge, collective buying power ensures that we purchase goods at low prices then pass on the savings to customers in Steyning, Sussex, and online. 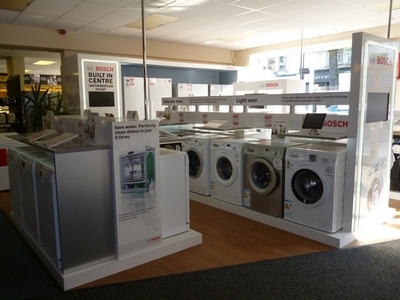 All domestic appliances in our stores come from top-branded global manufacturers so you’re always assured of a product that’s covered by warranty. We also offer customers that option of an extended 3-year or 5-year warranty through RETRA to provide total peace of mind with every appliance and white goods purchased. We do not sell second hand machines unless direct from a manufacturer as a special deal. You'll be met by a great team of staff at our Southwick store and our warehouse outlet in Storrington; they are passionate about what is on sale and will be keen to discuss the features and benefits of freestanding and built in models, microwaves, washer dryers and more. We continue to support our customers to the best of our ability not only on the day of sale but for many years to come. Every mechanical appliance will break down eventually, but in the unlikely event of a failure or an issue with any item sold by us in first few years of use, we will make every effort to return it to full working order as quickly as possible. You'll be met by a great team of staff at our Southwick store and our warehouse outlet in Storrington; they are passionate about what is on sale and will be keen to discuss the features and benefits of freestanding and built in models, microwaves, washer dryers and more. 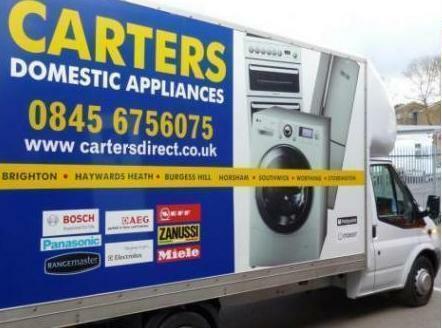 Our delivery crews are just as enthusiastic about the role they play within the Carters family business and are on hand to install your new machine and remove the old appliance at a time that is convenient to you. Competitive prices are the norm whether or not you've chosen a freestanding or integrated model. Our crews are known for their friendly knowledgeable service so look out for their blue and white van on the day they're coming to you in Steyning. For more information about the kind of service they offer, call us at Southwick on 01273 591199, or at Storrington on 01903 745100.